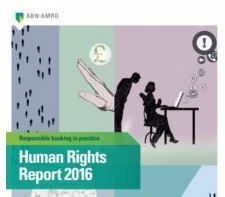 ABN AMRO is the first financial institution in the world to publish a human rights report based on the reporting framework of the UN Guiding Principles on Business and Human Rights. 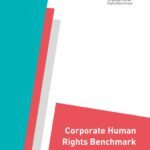 In the report, the bank sets forth its human rights policy and how it seeks to meet its policy commitments. The publication of the report is an important milestone in the bank’s efforts to revisit its operations from a human rights perspective. The report focuses on four human rights issues: privacy, discrimination, labour rights and land-related human rights. These are the human rights that are most at risk of being violated by the activities of the bank and the companies it finances or invests in on behalf of clients. ABN AMRO is active in a large number of countries and sectors. In order to minimise the risk of the bank doing business with companies that violate human rights, it actively monitors clients that operate in high-risk industries and countries. Where necessary, ABN AMRO engages with clients to bring about improvement. The bank also proactively seeks to create positive impact, for example by encouraging social impact investing.